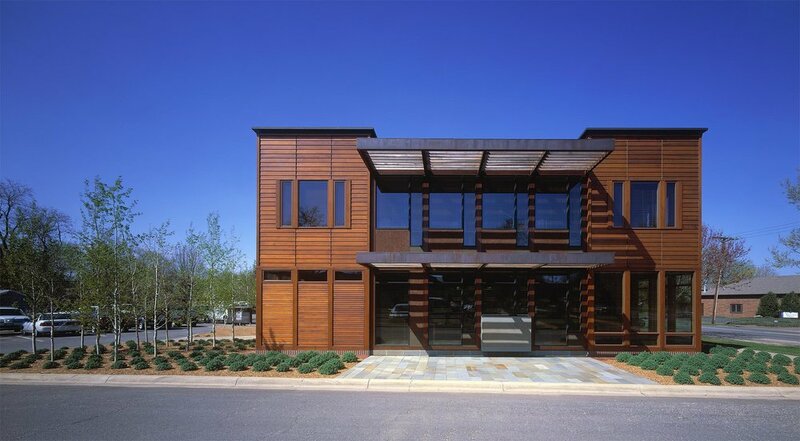 Located in a small suburban town center, this new office building for an architectural home builder expresses the art of construction through craft. The building establishes an urban fabric through the street front hierarchy of scale and materials. Sun-shade datum lines, fenestration and details reinforce the pedestrian scale. The landscape reflects the building texture and materiality in the ground plane. The building organization is expressed through articulated brick walls on the east and west facades, while cedar and glass towers anchor the corners of the building. Between these primary masses of the building, the void areas of the circulation axis and central open spaces utilize glass, wood, stucco and copper clad sun-shades to animate the scale, color and transparency of the building. The construction illustrates the value of craftsmanship, celebrating connections and inherent material qualities. Operating on multiple scales the building expressescharacteristics of tactility, shadow, shade, sheen and transparency. 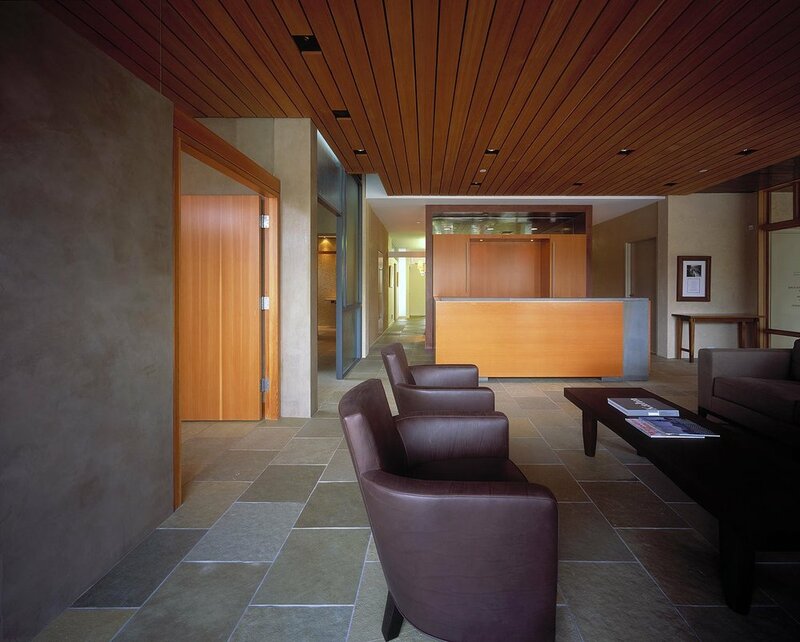 Materials are utilized for their timeless, intrinsic value and are celebrated through the details. 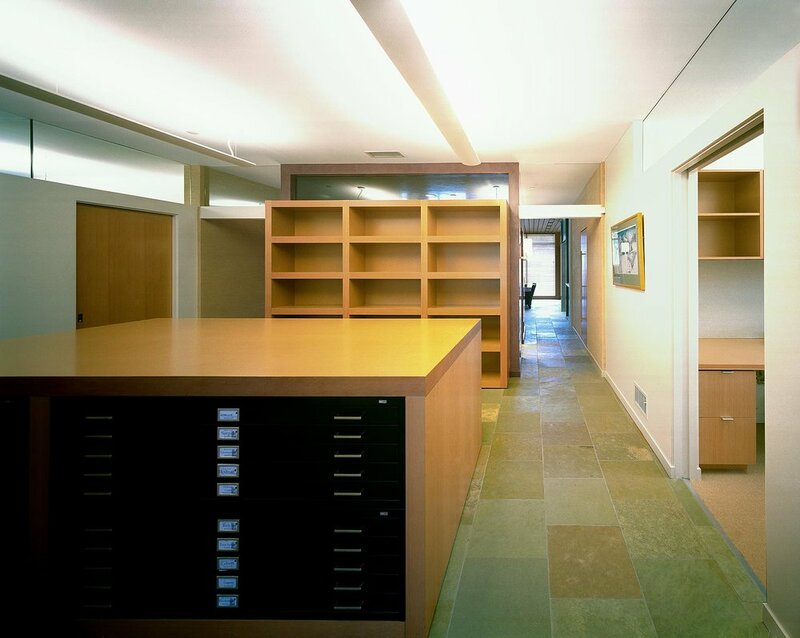 The brick walls touch the ground in a bed of large Door County washed rock, as the wood corner towers meet the site with a brick base and paver perimeter, and bluestone slabs extend from the central “void”, echoing the nature of the building into the grade. The landscape texture is created through a ground cover of Catmint and a grove of Aspen trees greets one at the west entry.